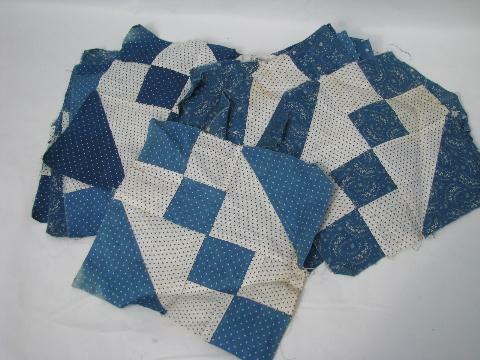 Circa turn of the century vintage hand sewn pieced patchwork quilt squares, about 30 in all, 7 1/2" x 7 1/2". 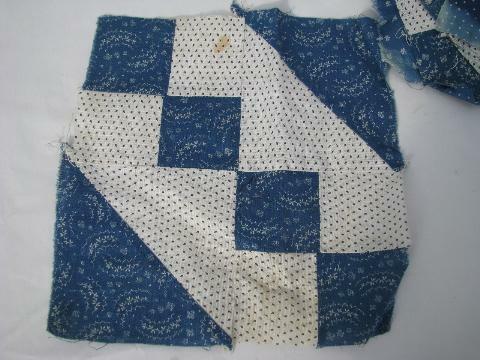 These are very neatly worked in Victorian period cotton fabrics... some shirting, some printed calicos. Many of the blocks are in very nice shape, but some do have a few problems. 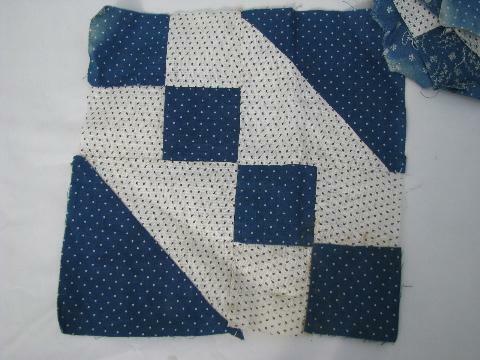 A couple of the blocks have holes, and a few have good-sized spots. Some have fading at the edges, in what would be the seam allowance area.